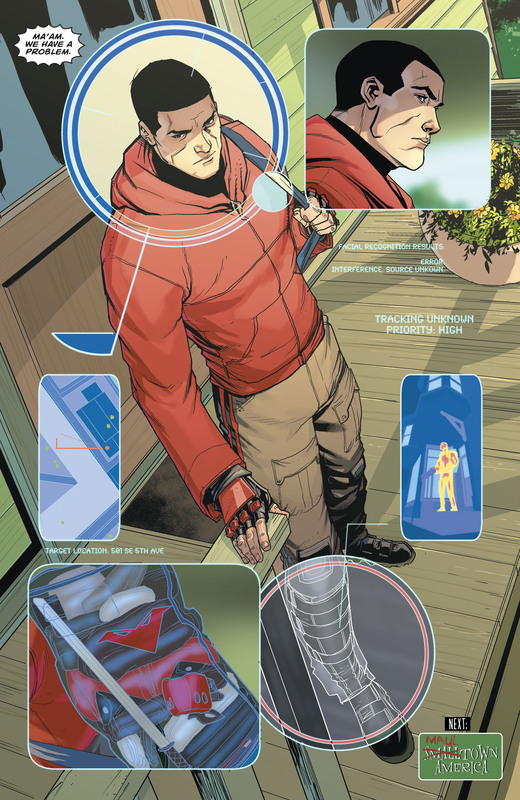 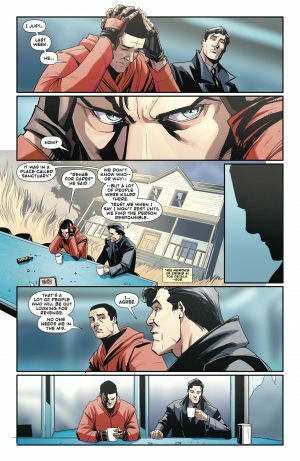 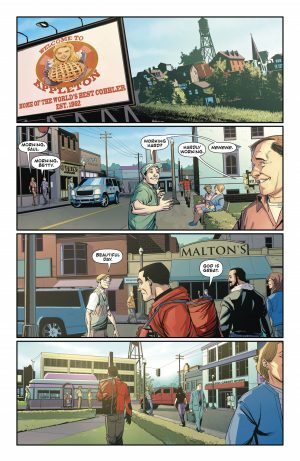 DC Comics Universe and Red Hood Outlaw #27 Spoilers follows. 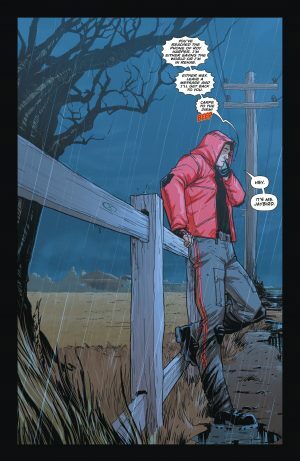 A Touching Heroes In Crisis #1 Fallout Issue As Batman Reveals The News Of Arsenal’s Death and Exiles The Red Hood?! 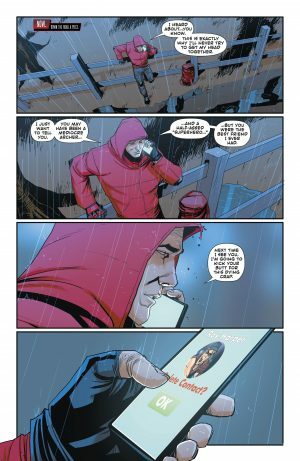 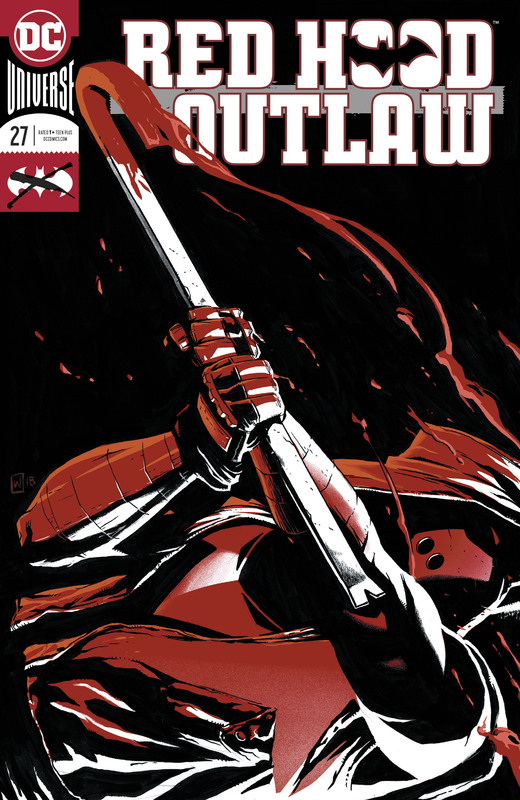 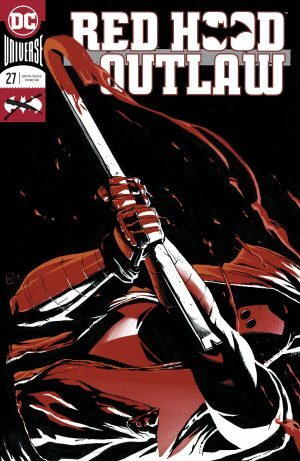 The book opens with Red Hood calling his Outlaws buddy Arsenal and leaving a voicemail. Red Hood follows that up with a diner meal and melee that Batman joins in on. They have a cup of coffee in the carnage where Batman explains that he knows that the Penguin didn’t die by Red Hood’s hand, but not for a lack of trying by the ‘Hood. 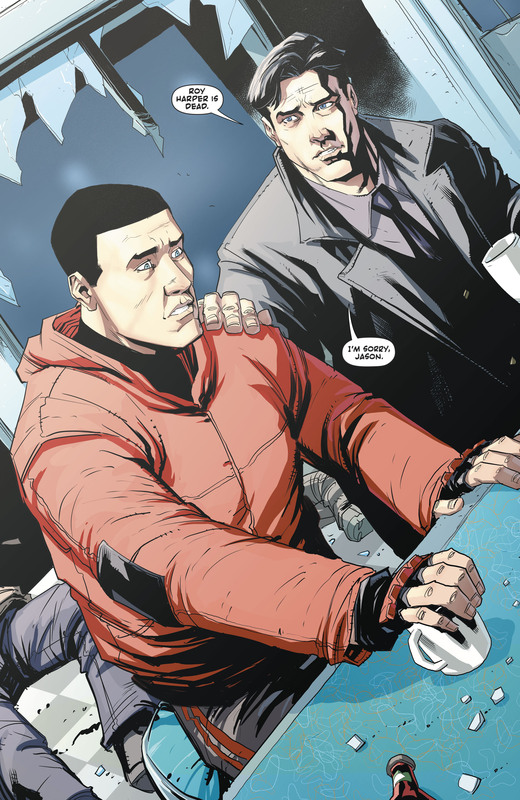 As a result, he can’t come back to Gotham City and Batman won’t send him to Arkham Asylum. 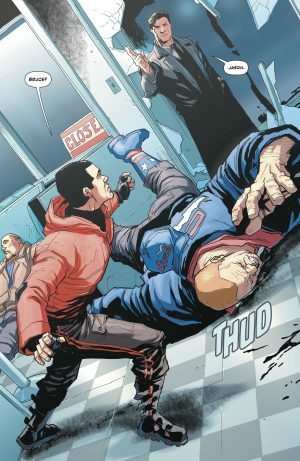 Batman also breaks the news that Arsenal died to Red Hood. 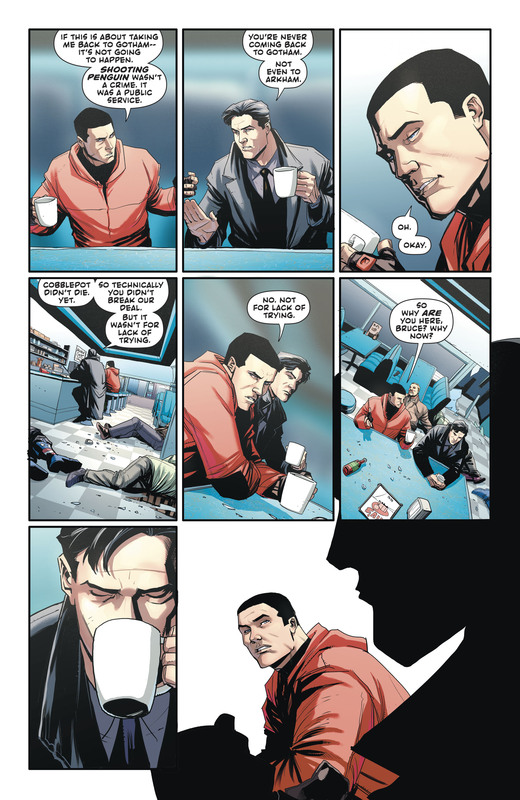 Batman then explains what happend in Heroes in Crisis #1 (full spoilers here). 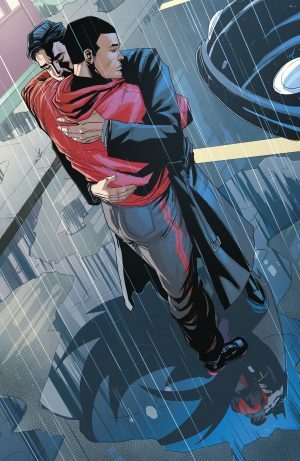 This week’s Titans #27 is also set to deal with the fallout as well as teased. Red Hood notes death is a revolving door in DC considering he, Robin and even Batman have died and returned from the dead. Batman and his second Robin then hug it out and go their seperate ways. 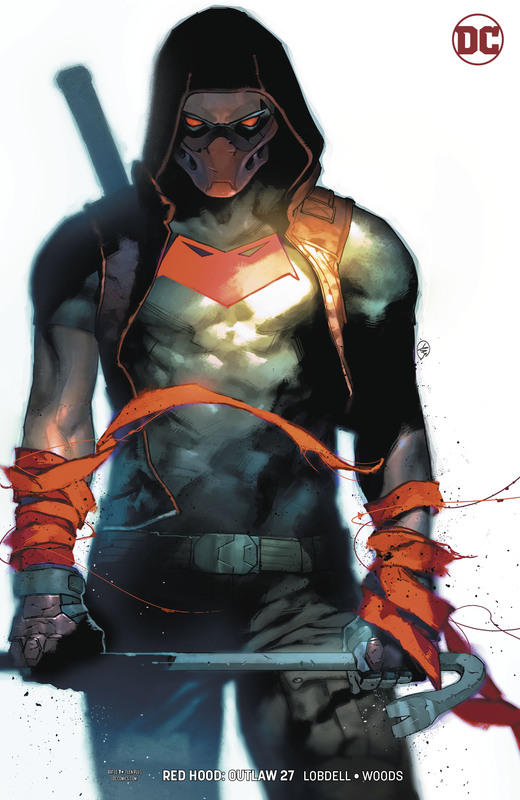 The Heroes in Crisis plot ends how it began with Red Hood leaving a message for Arsenal now knowing he’s died.